Posts on our bed and breakfast accommodation blog about Lawe Road, South Shields, NE33. If you are staying at our bed and breakfast accommodation in South Shields between 6th and 13th October then you may like to visit one of our local restaurants during South Tyneside Restaurant Week. Station Approach, East Boldon, NE36 0AB. Two courses for £10.95 or three courses for £12.95. 63 Front Street, Cleadon, Sunderland SR6 7PG. 1 St Bedes, East Boldon, NE36 0LE. Any flatbread and a cheese board for £10. 299 Sunderland Road, South Shields, NE34 6RB. Any cold or toasted wrap and a slice of cake for £5. Boldon Business Park, Boldon Colliery, NE35 9PE. Two courses for £10 or three courses for £15. 176-186 Ocean Road, South Shields, NE33 2JQ. Sea Road, South Shields, NE33 2LD. 181b Sunderland Road, South Shields, NE34 6AD. Jarrow Hall House, Church Bank, Jarrow, NE32 3DY. Prince Consort Road, Hebburn, NE31 1BE. 3 St Hilda Street, South Shields, NE33 1QD. Winchester Street, South Shields, NE33 2PS. 1 East Street, Whitburn, Sunderland, SR6 7BZ. 7 North Street, South Shields, NE33 1HD. St George’s Avenue, South Shields, NE34 6ET. 194-198 Ocean Road, South Shields, NE33 2JQ. Enjoy a starter, main course and rice or chips from £5.95 (Sunday to Friday) or from £7.95 (Saturdays). Rectory Bank, West Boldon, NE36 0QQ. Enjoy a two course meal for £10 or a three course meal for £15. 101 Ocean Road, South Shields, NE33 2JL. Enjoy any main course item from their regular menu, plus a traybake cake and a drink for £10. Coast Road, South Shields, NE34 7BS. 101 Lawe Road, South Shields, NE33 2AJ. River Drive, South Shields, NE33 1LH. Two courses for £9.95 or three courses for £13.95. 30-32 Ocean Road, South Shields, NE33 2HZ. Two courses for £9.50 or three courses for £12.50. 230 Ocean Road, South Shields, NE33 2JQ. Calf Close Lane, Jarrow, NE32 4SX. Two courses for £15 (Monday to Friday) and a special offer on Saturday and Sunday of £20 roast plus dessert for two people. Redcar Terrace, West Boldon, NE36 0PZ. 2 Sea Road, South Shields, NE33 2LD. Blackett Street, Hebburn, NE31 1ST. Windsor Hall, 8 Burrow Street, South Shields, NE33 1PP. 2 Winchester Street, South Shields, NE33 2PS. 181A Sunderland Road, South Shields, NE34 6AD. Two courses and a regular drink for £8.45. 206-210 Ocean Road, South Shields, NE33 2JQ. For more places to eat and drink in South Tyneside check out Places to Eat & Drink. 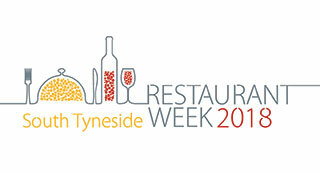 If you are staying at our bed and breakfast accommodation in South Shields between 7th and 14th October then you may like to visit one of our local restaurants during South Tyneside Restaurant Week. Two courses for £9.95 or three courses for £12.95. Fully loaded skins with bacon and cheddar cheese, BBQ sauce and garlic mayonnaise. Tomato and basil soup finished with fresh Thai basil and cream. Hickory smoked chicken wings on mixed leaf salad. Pan fried cajun chicken served on patatas bravas finished with spicy salsa and mixed leaf salad. Homemade deep dish mince and red onion pie – shortcrust pastry served with savoury mince topped with balsamic red onions, served with chips, peas and gravy. Baked cod lemon and caper butter with sweet potato wedges and green beans. 70 Ocean Road, South Shields, NE33 2JD. Two courses for £21.95, including a glass of wine per person. Goats cheese bruschetta – goats cheese topped with rocket and Parmesan shavings, dressed with balsamic vinegar. Tiger prawns and smoked salmon wrapped in chicken breast and served in a creamy lobster sauce. Tagliatelle pasta, tiger prawns, courgettes in a creamy lobster sauce. Smoked haddock and pea arancini with pea puree. Tiger prawns with chilli, garlic, ginger and egg noodles. Carpaccio of bresaola, rocket, pecorino cheese, olive oil and lemon dressing. Pasta or risotto of your choice from their list. Braised daube of beef with red wine, mirepoix vegetables and creamed potatoes. Pan fried veal loin, salsa verde, mixed salad and French fried potatoes. Pan fried fillet of sea bream, creamed leeks and sautéed potatoes. Roast chicken supreme stuffed with black pudding and sausage meat, with wholegrain mustard sauce and rosti potatoes. A selection of desserts from their daily menu. 200 Ocean Road, South Shields, NE33 2JQ. Café India Special Mix – Chicken Tikka, Lamb Tikka, Samosa, Fish Pakura. Sheek Pura Murgh – A very lightly spiced Chicken Kebab with a touch of mixed herbs, lime and lemon zest, served with a mustard and onion sauce. Chatri Paneer (v) – Garlic Mushroom and Cheese Tikka served with stir fried onion, pepper and fresh coriander. Café Tuk Tuk – Small pieces of Chicken Tikka cooked in a medium bhuna naga sauce, served with a puree. Prawn Cocktail – Prawns garnished with cocktail sauce and mixed salad. Lamb Railway Curry – Medium dish, succulent lamb, cooked in a traditional bhuna sauce complimented with roasted chillies and potatoes. Jhal Jul Rashun – Beef pieces prepared in a medium sauce, topped with stir fried onions, green peppers and garlic. King Prawn Begun – Fried aubergines cooked in a medium bhuna sauce with succulent king prawns. Murghi Bahar – Pieces of boneless chicken, stir fried with special spices, green peppers and tomatoes. Mango Delight – Chicken tikka cooked in a rice mild sauce with almonds and fresh mango. All main dishes are served with pilau rice, boiled rice, chips or special fried rice. Complimentary – Mouth-watering Gulub Jamun with Indian sweet yoghurt (served with fruits). Any cold or toasted wrap and a dessert for £5. Meatball, Cheese and Ragu Sauce. Tempura crab claws with citrus mayo. Salmon and cod fishcakes with chips. Potted salmon terrine, herb mayo, cucumber and dill salad. Smoked mackerel with beetroot salad and horseradish dressing. Baked cod, tomato compote, herbcrust and warm tartare sauce. Poached smoked haddock, soft poached egg, bubble and squeak and wholegrain mustard cream. Hot amarena cherries and ice cream. 158 Ocean Road, South Shields, NE33 2JF. Chicken Goujon wrap and fries. Toastie or panini with fries. 222-224 Ocean Road, South Shields, NE33 2JQ. 97 Newcastle Road, Simonside, South Shields, NE34 9AA. One course for £10.95, two courses for £13.95 or three courses for £16.95. Pan fried salmon fillet, oriental salad and orange sauce. Chicken terrine, apricot and watercress salad with curry mayonnaise. Buffalo mozzarella, asparagus, vine tomatoes and hollanaise sauce. Braised clod of beef with a mushroom mash, grilled herb tomatoes and a rich onion sauce. Grilled seabass fillet, roast vegetable risotto with saffron potatoes. Deep fried brie, braised lettuce, pea puree and sweet potatoes. Strawberry, black pepper and white chocolate cheesecake with amaretto syrup. Dark chocolate raspberry and cherry trifle. Burnt lemon tart, vanilla pod ice cream with lime syrup. 15 Ocean Road, South Shields, NE33 2HT. Ice Cream Afternoon Tea for Two – sandwiches, quiche, sausage rolls, scones with cream, mini cakes and mini rainbow ice creams. Italian range of Paninis and a slice of indulgent chocolate cake. Dessert Sharing Platter For Two – two mini milkshakes, two mini sundaes and eight patisserie cakes. With chilli flakes and paprika plus coffee or tea. Potato Skins – Golden crisp potato skins with choice of dips. Soup of the Day – Chefs daily choice of soup. Black Pudding – Black pudding pan fried with peppercorn sauce. Crostini – Homemade Italian ciabatta topped with tomato basil and mozzarella cheese. Caprese – Sliced baby mozzarella, beef tomato and basil dressing. Pollo Picante – Succulent chicken breast sautéed in chilli, garlic, red wine and rich tomato ragu. Bianco Salmone – Poached fillet of salmon, dill and white wine. Pizza – Tomato and mozzarella with a choice of any two toppings. Manzo Affumicata – Smoked Julian’s of beef sautéed with chilli and garlic in a creamy tomato sauce. Bistecca Alla Aglio – Tender sirloin steak with classic garlic butter and white wine sauce. Steak sauce supplement – £2.95 – Choose from peppercorn, diane, arrabiatta or al a crema. Halloumi Fries – Spicy Harissa. Marrakech Kofta – Minced lamb kofta kebabs with authentic Marrakech spices, on a bed of crisp salad. French Fishcake – Salmon and potato fishcake, with tartar sauce. Mac N Cheese – Macaroni pasta oven baked with a mix of cheddar and mozzarella cheese. Boneless Ribs – Slow cooked boneless beef short ribs with rich BBQ and finished with a crisp coleslaw. Zizou Mix Grill – Marinated prime beef hanging skewer saffron spiced rice. Griglia Pomodoro – Grilled butterflied chicken breast, mix bell peppers, tomato and chilli ragu finished with fresh basil and roasted cherry tomato. Lubina – Fresh fillet of seabass sautéed in a rich roasted red pepper and chorizo sauce, served on a bed of bucatini pasta and finished with spring peas and parsley. Mediterranean Green Thai Curry – Aromatic Thai green paste, coconut milk, Mediterranean vegetables and fresh chilli, served with basmati rice. Homemade pumpkin and amaretto ravioli with butter & sage. Homemade crespelle with mushrooms & ham in béchamel sauce. Seabass in potato crust with garlic & rosemary sauce. Pork fillet wrapped in parma ham with chestnut mousse & marsala sauce. Both served with roasted seasonal vegetables. Homemade ricotta, orange zest and cinnamon tart. Homemade chocolate and almond flourless cake. 35 Hudson Street, South Shields, NE34 0AD. Beef chilli – melted cheese, sour cream and jalapenos. Pepperoni – melted cheese, Italian tomato sauce and pepperoni. Pulled chicken or pulled beef – melted cheese, spring onions and bbq sauce. Veggie nachos – served with nacho cheese, sour cream, guacomole, salsa and jalapenos. Pulled chicken, pulled beef, slow smoked beef brisket, hot beef chilli, pepperoni, veggie topping plus one of the following – peppers, onions, mushrooms or jalepenos topped with oregano. Served with skinny fries and a side of your choice. Madegascan vanilla, strawberries and cream, chocolate, hazelnut, coconut, pistachio, bubblegum or passion fruit sorbet. Station Road, East Boldon, NE36 0LE. 35 Dean Road, South Shields, NE33 4EA. Offer 1 – £3.50 – any cake and hot drink. Offer 2 – £5 – any cake and shake. Offer 3 – £8 – any two sundaes. South Foreshore, South Shields, NE33 2LA. Butternut squash and sweet potato soup. Deep fried breaded mushrooms filled with pate on a bed of salad leaves. Pan fried chicken breast on bed of pureed leeks with crème sauce. Baked cod with cherry tomatoes and green olives. Strawberry cheesecake with créme chantilly. Steamed treacle sponge with custard. Sauted lambs kidneys with smoked paprika & sherry. Crab & roast fennel salad. Bacon jam & camembert on toast. Chicken, roast garlic and bean casserole with suet leek pudding. Smoked haddock & garden pea risotto with poached egg. Calves liver with bubble and squeak and onion gravy. Halloumi burger with spiced beetroot relish, onion rings and fries. Frozen winter berries with hot white chocolate sauce. Apple crumble with vanilla ice cream. Vanilla ice cream & hazelnut crunch with hot chocolate sauce. Sticky toffee pudding with sauce of god. A discretionary 10% service charge will be added to the bill. Main course, drink and cake for £10. Avocado & smokey bacon flatbread. Chicken & mushroom pasta bake. 141 Temple Park Road, South Shields, NE34 0EN. Smoked mackerel pate with toasted sourdough bread and garnished with pea shoots. Seafood chowder served with warm crusty bread. Bucket of whitebait with garlic aioli. Bowl of crispy potato peelings with garlic mayonnaise. Fish and chip wrap – flatbread wrap filled with battered cod, chips, minted mushy peas, lettuce, red onion, peppers, finished with a spoonful of tartare sauce. Steak wrap – flatbread wrap smothered with garlic mayo, strips of seasonal rump steak, French fries, lettuce, red onion and peppers. Seafood wrap – flatbread wrap with crab mayo, crispy whitebait and prawns with French fries, lettuce, red onions and peppers. Fresh lemon tart with raspberries, raspberry coulis and pouring cream. Mango & passion fruit cheesecake with mango coulis and chocolate drizzle. Individual ice cream pot, various flavours. Two courses for £12.95, three courses for £16.95. Chef’s soup – with homemade bread. Beetroot & goats cheese terrine with candied walnuts and fried sage. Brown butter scallops with pea puree, crisp bacon lardons and watercress. Warming lamb stew with herby dumplings, minted new potatoes and buttered greens. Cumberland sausage in a beer pretzel bun with caramelised onions and roasted garlic butter served with sweet potato wedges and harissa mayo. Pan fried salmon in a garlic lemon butter sauce, served on crushed new potatoes with green beans. The ultimate fish and chips – fresh battered cod, chunky chips, minted steeped peas, homemade tartare and griddled lemon. Treacle tart – homemade treacle tart with vanilla ice cream. Cornflake cake – a retro favourite served with custard. Chocolate Brownie – homemade brownie, vanilla ice cream and cinder toffee. Redwell Lane, South Shields, NE34 7JS. Classic burger & chips (cheese optional). Mince & dumplings with veg or mash. Peppered pork with chips or mash. (Sunday main course: traditional Sunday lunch or mince and dumplings). The Farm House, East Fellgate Farm, Wardley, Jarrow, NE10. Wild mushroom celestine fished with shredded herb blini (V). Fruits de mare bound in a cream cilantro sauce served on a filo shell. Smoked chicken bacon and black pudding terrine accompanied with a mango and sweet chilli chutney. Supreme of chicken infused with haggis and drizzled in a red wine and drambuie jus served with seasoned vegetables. Oven baked Alaskan haddock topped with king shrimp napped in a lime tomato cilantro dressing. Roast entrecote of beef wild mushrooms finished in a light tarragon wine jus served with chunky chips. Filo basket stuffed with caramelised red onions vine tomatoes and goat’s cheese drizzled in a tomatoes and herb sauce (V). Natural yoghurt Eton mess finished with raspberries. Plumb crumble served with cream anglicize. Salted caramel gateaux served with vanilla ice cream. Trio of ice creams with forest fruits. Soup of the day – homemade soup made with fresh ingredients, served with a bread roll. Little Haven fish ‘n’ chips – fresh beer battered cod cooked golden with straw chips, blackened vinegar & creamy tartare sauce. Pear and cheese salad – red wine poached pear with a flavour filled coquet cheese. Seafood skewer – market fish layered with bell peppers & onions, chargrilled with fluffy white rice and sweet chilli & lime sauce. Chicken milanaise – breaded chicken breast cooked golden with a rich herb filled tomato sauce. Daube of English beef – with red onion mash, red wine, smoked bacon & root vegetable espagnol. Luxury ice cream – real strawberry, chocolate chip & vanilla pod ice cream, with a fan wafer & cream. Jamaican bread & butter pudding – home made with lashings of custard. Spiced chilled rice pudding – with sweet sticky jam. Witney Way, Boldon, NE35 9PE. Garlic mushrooms with toasted brioche. Sauté creamy garlic mushrooms and toasted brioche. Sauté chorizo, black pudding and potatoes. Chorizo, black pudding and sauté potatoes with balsamic glazed red onions and spring onion. – served with crusty bread roll. Toasted brioche bun, little gem, tomato salsa, and fries. Chicken supreme wrapped in Parma ham. Served with peppercorn sauce, mashed potato, tender stem broccoli. – served with dressed watercress, red pepper salsa, sauté fine beans. – served with sweet and sour stir fry vegetables, toasted sesame seeds. Served with chocolate sauce and chantilly cream. Served with butterscotch sauce and vanilla ice cream. – served with a salad garnish and peppercorn sauce. – served with a salad garnish, homemade garlic sauce or sweet chilli dip. – pan fried and served with a salad garnish, lemon wedge, and a garlic butter, diavola or thermidor sauce. – with added rosemary and sea salt. – served in spicy tomato sauce and on a bed of pasta. – chargrilled steak, blue cheese, mushrooms, red onions, rocket, and parmesan. – served with a cheese and asparagus sauce, and a side of either homemade chunky chips, skinny fries, seasonal vegetables, sweet potato fries or a rustic salad. – selection of meats, sundried tomatoes and olives. – cooked to your liking and served with mushrooms, a grilled tomato, and either a side salad, homemade chunky chips or skinny fries. – served with clotted cream. – served with ice cream and fresh cream. – two half lobsters, battered cod, mussels, clams, placed goujons, prawns, potted crab and homemade chunky chips. Two courses for £10 or three courses for £14. Chicken liver pate, red onion marmalade and toast. Homemade potato skins with garlic mayo (V). Thai spiced fishcakes with a chilli dressing. Mushroom stroganoff with white rice (V). Homemade corned beef pie with mash or chips. Roast of the day in a giant Yorkshire pudding. Homemade curry of the day with white rice. Scampi and chips with homemade tartar sauce. Traditional cottage pie with a cheesy mash lid. Roman Road, Jarrow, NE32 5UB. Two courses for £9.95 or three courses for £11.95. Minestrone soup (V) (GF) – served with a floating cheese crouton. Pork meatballs – in a sweet chilli glaze and served on a bed of deep fried spinach. Tiger prawn skewer – with onion chilli jam and mixed salad leaf. Creamy garlic mushroom pot (V) – with toasted bread sticks. Stuffed chicken breasts (GF) – chicken breast stuffed with buffalo mozzarella and poached garlic creamed leek sauce. Mediterranean vegetable crumble (V) – roasted Med veg topped with crumble and served with a tomato fondue dip. Chicken Caesar pizza – stone basked dough base topped with mozzarella and tomato and finished with rocket, parmesan and Caesar sauce. Baked salmon – a fillet of salmon baked and served with new potatoes & olive remoulade. Slow braised frying steak – Served on a bed of creamy spring onion mash with a red wine, onion and mushroom gravy. Pasta Napoli (V) (GF) – gluten Free pasta topped with our Napoli sauce and mozzarella cheese. Chocolate fudge cake (V) – with salted caramel sauce. Mixed berry meringue (V) (GF) – with fresh cream and topped with raspberry puree. Banana waffle sundae (V) – belgian waffle chunks, banana syrup and toffee sauce mixed with cream. Front Street, Cleadon, Sunderland, SR6 7PG. Soup of the day and carvery (or vegetarian option). Carvery (or vegetarian option) and ice cream. Cacik (V) – yogurt with chopped cucumber, dill, olive oil and hint of garlic. Humus (V) – crushed chickpeas mixed with tahini, garlic & olive oil. Saksuka (V) – aubergines, peppers and potatoes fried in olive oil, served with fresh tomato, parsley and garlic sauce. Kirsir (V) – bulgur wheat mix with spring onions, red peppers, celery, fresh parsley, tomato purée and walnuts, served with olive oil and pomegranate vinegar dressing. Yaprak sarma (V) – vine leaves stuffed with rice, pine kernels and herbs. Soup of the day – soup of the day served with Turkish bread. Sucuk – chargrilled spicy Turkish sausage. Mantar guvec (V) – mushrooms, onions, mix peppers, tomato and garlic cooked in clay dish and topped with cheese. Falafel (V) – deep fried crushed chick pea balls, made with chopped mix peppers, coriander, dill and celery, served on a bed of humus. Ciger kavurma – pan fried lambs liver with garlic and fresh parsley, seasoned with paprika, cumin, salt and pepper, served on a bed of onion salad. Adana – finely chopped best prime lamb mixed with peppers, chilli and fresh parsley cooked on the Turkish charcoal grill and served on Turkish flat bread with rice and salad. Tavuk shish – marinated cubes of chicken, cooked on the Turkish charcoal grill, served on Turkish flat bread with rice and salad garnish. Tavuk kanat – charcoal grilled marinated chicken wings served with rice, flat bread and salad garnish. Kaburga – spare ribs of lamb cooked on the Turkish charcoal grill, flavoured with oregano, served with flat bread, rice and salad garnish. Beyti sarma with chicken – minced chicken flavoured with a mixture of herbs, cooked on the Turkish charcoal grill then wrapped in Turkish flat bread, sliced and served with a grilled tomato and yogurt. Iskender kebab – charcoal grilled minced lamb placed on a bed of Turkish bread served with yogurt and drizzled with hot butter sauce. Kuzu incik – hock of lamb, traditionally slow cooked in a special sauce with vegetables, potatoes and herbs. Izmir kofte – roast lamb meatballs cooked in a special tomato sauce with potatoes and herbs, served with rice. Musakka – classic lamb musakka, layers of aubergines, mincemeat, potatoes, courgettes, onions, and carrots, with béchamel sauce, topped with cheese and baked in the oven. Sebzeli guvec (V) – courgettes, peppers, aubergines, tomatoes, onions, mushrooms, spinach, garlic and herbs cooked in a clay dish with our special tomato sauce, served with rice. Vegetarian musakka (V) – layers of aubergines, potatoes, courgettes, carrots and peas, with béchamel sauce, topped with cheese and baked in the oven. Baklava (V) – layers of filo pastry with nuts and honey-syrup. Kadayif (V) – shredded pastry with nuts and soaked in sweet syrup. Chocolate fudge cake (V) – Served hot or cold with ice cream or double cream. Cheesecake (V) – cheesecake of the day. Ice Cream (V) – selection of award winning Minchella’s ice cream. Sticky toffee pudding (V) – homemade sticky toffee pudding served with butterscotch sauce. Complimentary apple tea, Turkish tea and Turkish delight. Garlic bread – plain, cheese or tomato. BBQ chicken wings – chicken wings cooked in a spicy barbeque glaze. Black pudding and peppercorn sauce – black pudding served on a bed of creamy mash topped with peppercorn sauce. Tuscan bean bruschetta – crustini topped with goats cheese and a cannellini bean, tomato and olive salad. Seafood cocktail – mussels, cockles & prawns served on a bed of lettuce coated with marie-rose sauce. Pollo gamberetti – chicken breast with baby prawns served in a tomato and cream sauce. Salmon panna prezzemolo salsa – fresh pan fried salmon supreme served with a white wine and parsley sauce. Bistecca bordelaise – sirloin steak served in a classic mushroom, onion and demi-glaze sauce. – All served with fresh vegetables or homemade chunky chips. Polepetini – spicy Italian meatballs served with tagliatelle. Sweet of the day or tea or coffee. Chicken fajitas, salad and tortillas. Chicken or prawn tagliatelle with garlic bread. Chinese chicken curry, egg fried rice and prawn crackers. Chocolate brownie ice cream sundae. Hot chocolate fudge cake and ice cream. Special taster menu for £24.50. Chat pati chingri – super king prawns prepared in a spicy hot sauce, flavoured with tangy lemon, naga chilli, tomatoes, peppers and garlic. Served with small Indian bread. Pan fried scallops – lightly spiced pan fried American king scallops served on a butternut squash puree, dressed with a crispy salad and pomegranate dressing. Kathi kebab – diced tender roasted lamb, tossed with onion and tomatoes well spiced and served in butter chapati, accompanied with Kathi sauce. Railway lamb curry – served to the British Raj, travelling First Class on India’s extensive railway network. Pieces of lamb cooked with fresh curry leaf, dried red chilli and onions, finished with fresh coriander. Adraki dhaniya murgh – chicken flavoured with a sharp taste of ginger and masala spices garnished with chopped coriander. Lasuni machi nilgiri – monkfish cooked in a medium spiced sauce, with fresh garlic and citrus Bengali Satkora. Accompanied with fluffy steamed rice or tomato rice (basmati rice cooked with tomato, onion, chilli and mint). For more places to eat and drink in South Shields check out Places to Eat & Drink. If you are staying with us over the Great North Run weekend next week then there are a number of special offers available. Free coffee with any food purchase in Camber and 10% discount for all participants. Valid between 4th-12th September 2017. 33-37 Market Street, Newcastle upon Tyne, NE1 6JE. 2 Neville Street, Newcastle upon Tyne, NE1 5EN. House champagne is only £25 a bottle for runners who bring in their medal. Offer is between 3pm & 7pm Sunday 10th September. 2-8 Fenkle Street, Newcastle upon Tyne, NE1 5XU. 10% discount on all food and drink for everyone who’s taken part in the Great North Run, valid on Sunday 10th September 2017 only. Half Moon Lane, Gateshead, NE8 2AN. 10% discount on all drinks for everyone who’s taken part in the Great North Run 2017 (valid on Sunday 10th September 2017). 105 Westgate Road, Newcastle upon Tyne, NE1 4AG. Saturday night (9 September) sees a complete carby takeover of Tyneside Bar Cafe’s specials boards: from pasta to potatoes we are sure to get you carb loaded and ready! Our sister venue Vicolo is also hosting a special edition of our regular ‘Live in the Lane’ event to help you settle your pre-race nerves, with free live music starting from 5:30pm on Saturday. You’ve finished the race and now it’s time to celebrate? We’re offering 10% discount across Tyneside Bar Cafe & Vicolo for all runners on Sunday 10th September when you show us your medal! Tyneside Bar Cafe, 10 Pilgrim Street, Newcastle upon Tyne, NE1 6QG. 10% off bill Valid Saturday 9th, Sunday 10th and Monday 11th September. Offer not in junction with any other offer. 28 Ridley Place and 9 Grainger Street, Newcastle upon Tyne. £6 Runners lunch (Any salad or wrap, a power up seeded bar & orange juice or hot drink) and a runners reward of 10% off during September with a voucher or medal. Filmore & Union, Unit 7, Platform 2, Neville Street, Central Station, Newcastle upon Tyne, NE1 5DB. 10% discount on all food and drink for everyone who’s taken part in the Great North Run 2017 (valid on Sunday 10th September 2017). 11-17 Broad Chare, Newcastle upon Tyne, NE1 3DQ. Adult day admission for same price as child £3, Friday 8th – Monday 11th September inclusive. Jarrow Hall, Church Bank, Jarrow, NE32 3DY. Two games for the price of one (£4.50 per person for two games). Valid Sunday 10th September only between 11am and 6pm. Games are 15 mins each. Minimum age 5 – no maximum age! Offer valid for whole group/party. Prebook or just turn up. Quasar Amusements, Ocean Beach Pleasure Park, Sea Road, South Shields, NE33 2LD. Free glass of fizz on arrival for all runners, valid on race day only. The Harbour Lights, 101 Lawe Road, South Shields, NE33 2AJ. 20% off you food bill when you show your medal at the Newcastle branch. Valid until 20th September 2017. 117 Newgate street, Newcastle upon Tyne, NE1 5RZ. One free drink with each meal. 29 Queen Street, Newcastle upon Tyne, NE1 3UG. 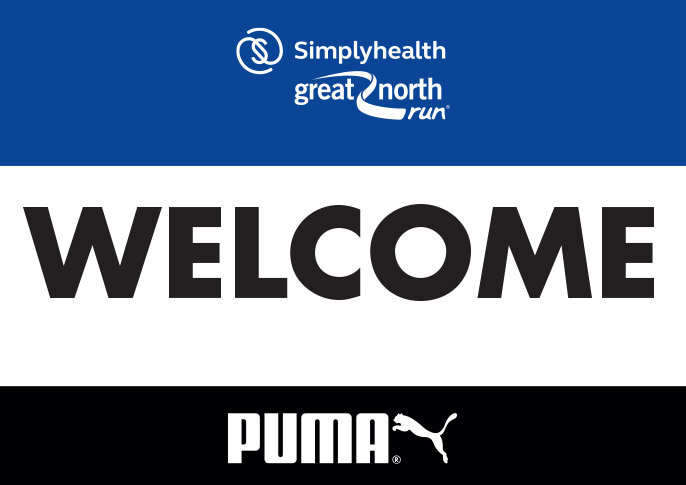 For more posts about the Great North Run on our blog click here: Great North Run.